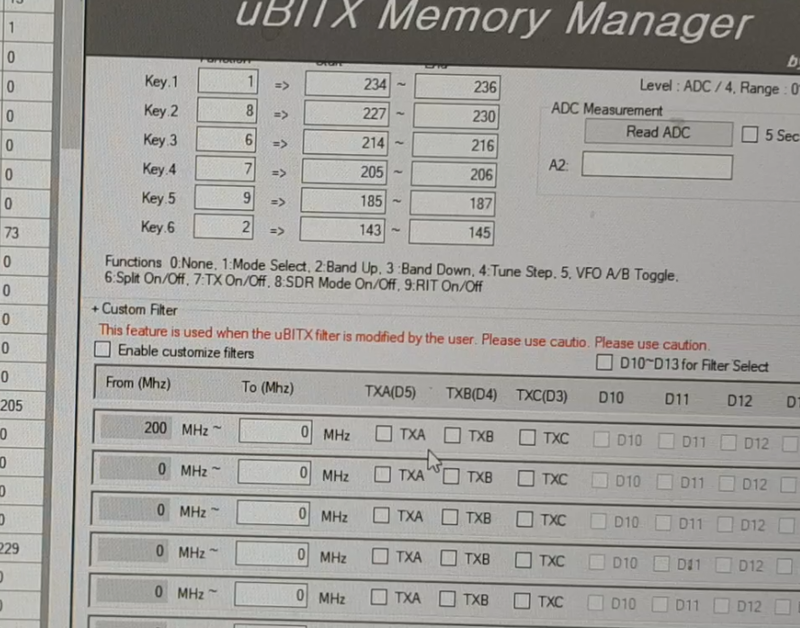 I find it hard to find the right title for this posting. 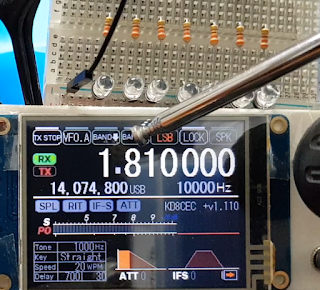 Anyway, I noticed a couple of months ago that the various ways to improve the Spur of uBITX were discussed by some OM's on how to replace the LPF. This version is for users who want to modify the LPF, Users who use Stock Hardware do not necessarily have to upgrade this firmware. 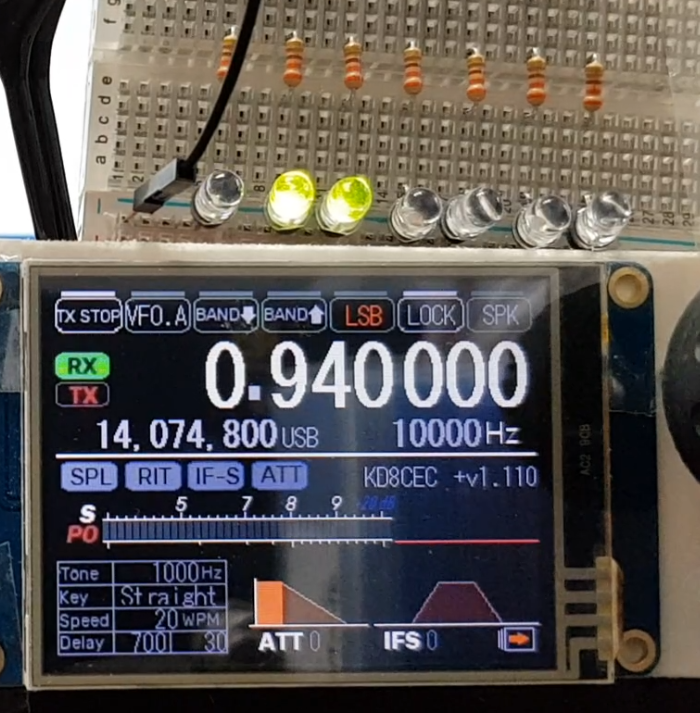 The basic LPF of uBITX uses Arduino Nano's 5, 4, and 3 I / O. 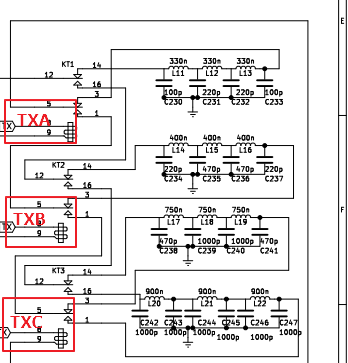 In general, you may only use TXA, TXB, TXC such as stock hardware. 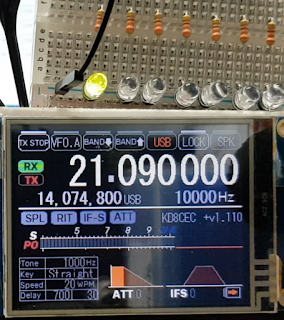 But if you use it in a way that controls one relay per I / O, three I / Os will be insufficient. 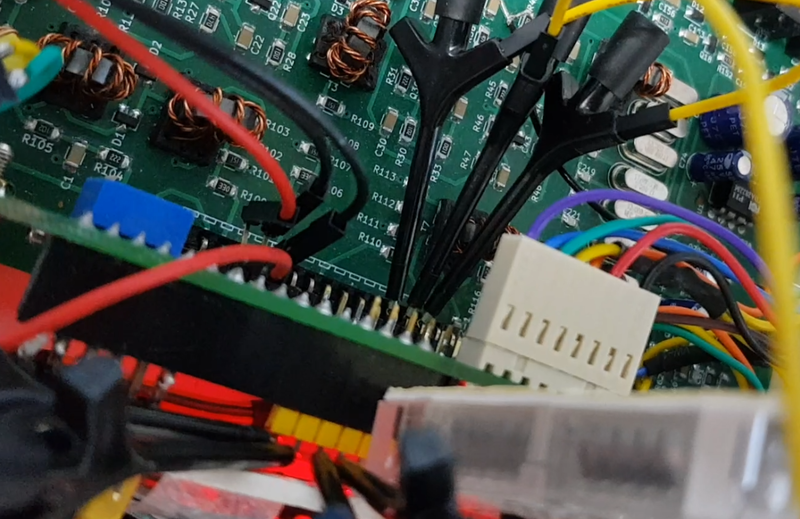 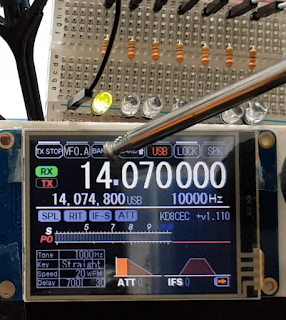 If you use I2C LCD or Nextion LCD, there will probably be plenty of extra I / O. 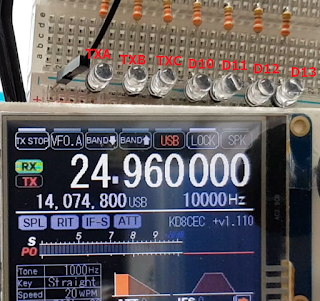 In CEC Firmware Version 1.11, you can use D10, D11, D12, D13 as you want. 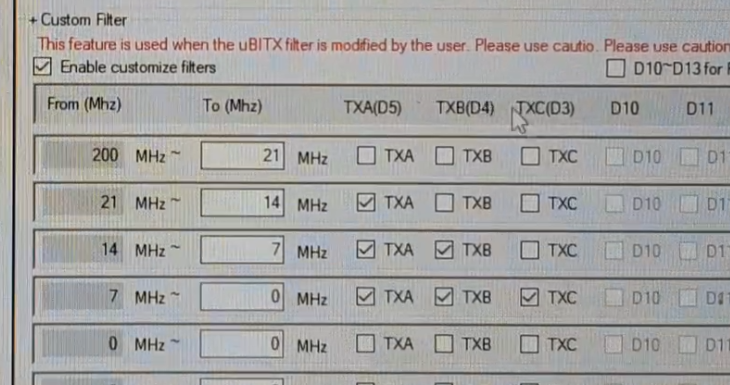 You can control High / Low by frequency just by setting in uBITX Manager. 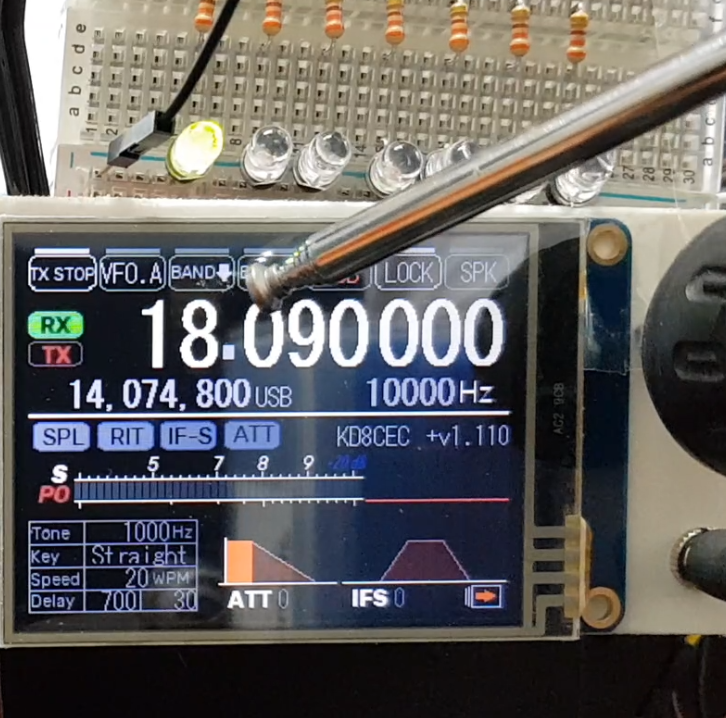 Maybe this could be used to control the external linear. 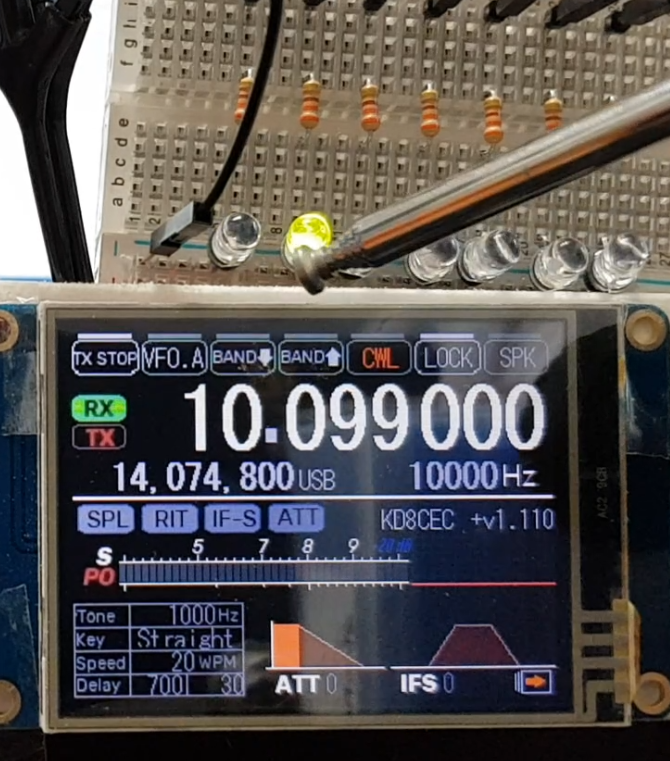 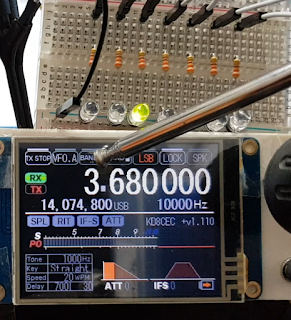 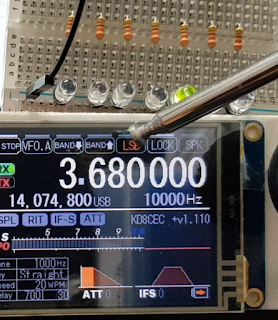 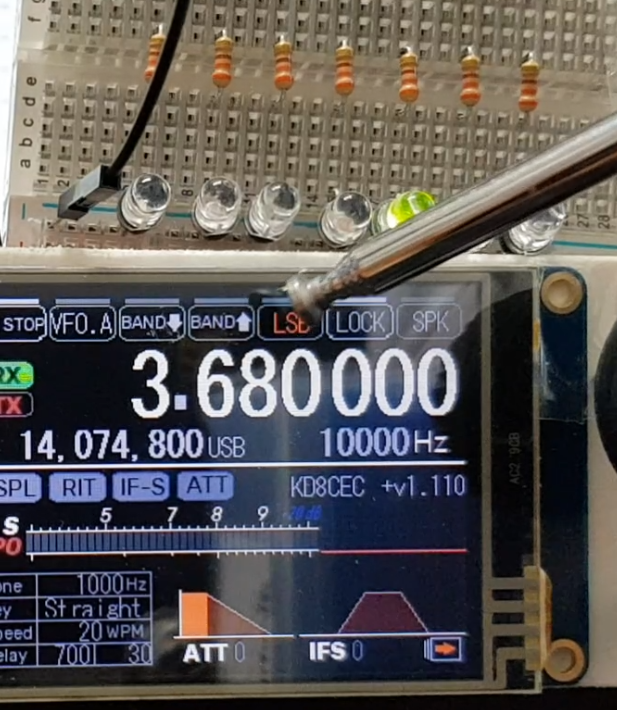 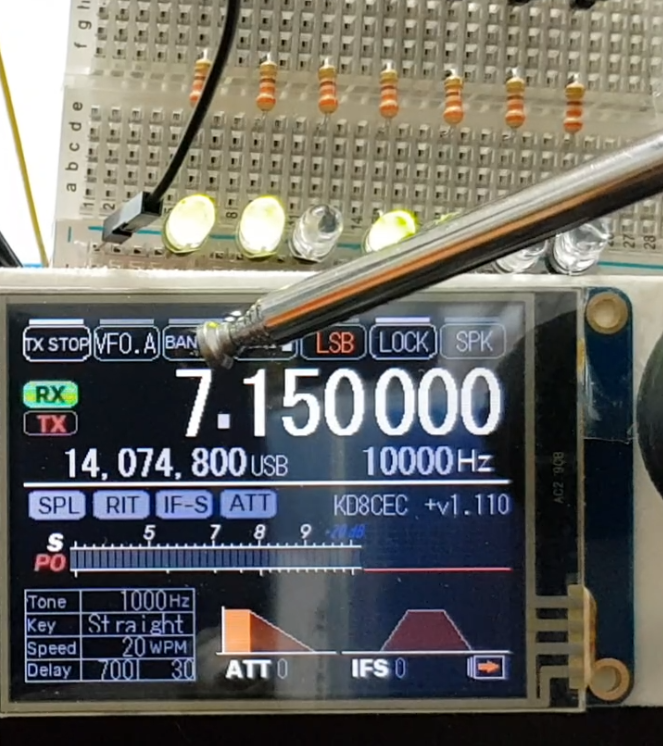 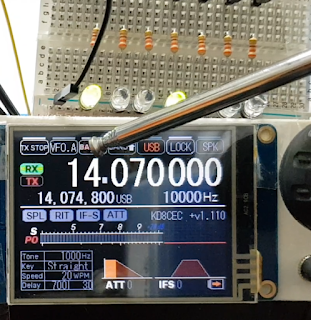 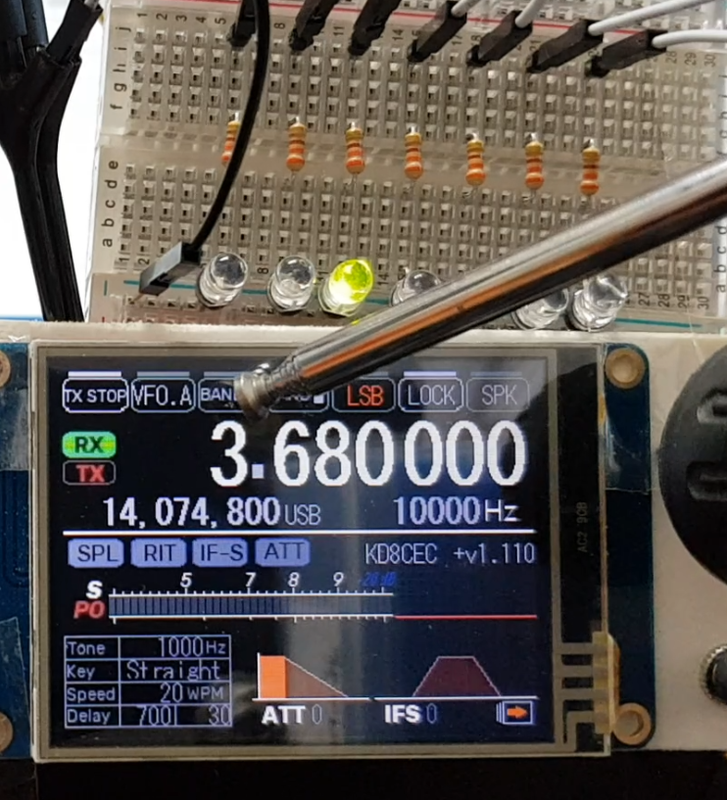 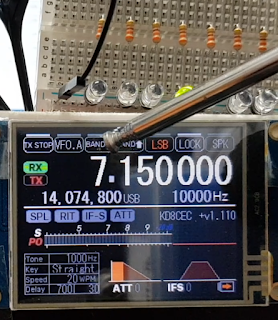 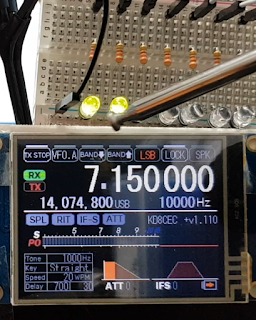 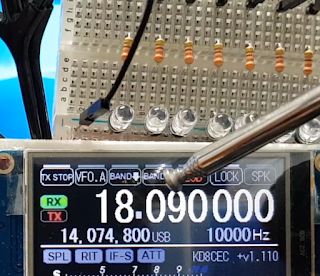 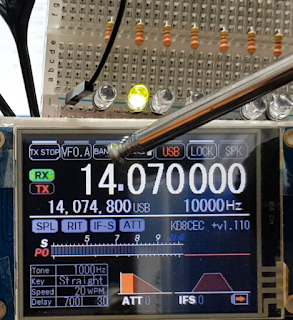 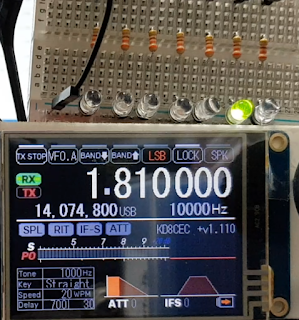 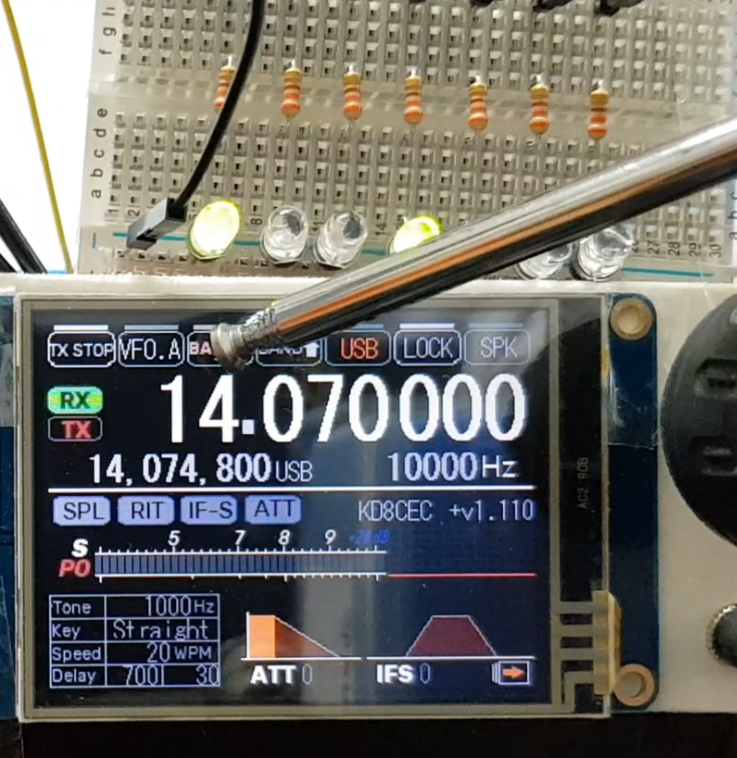 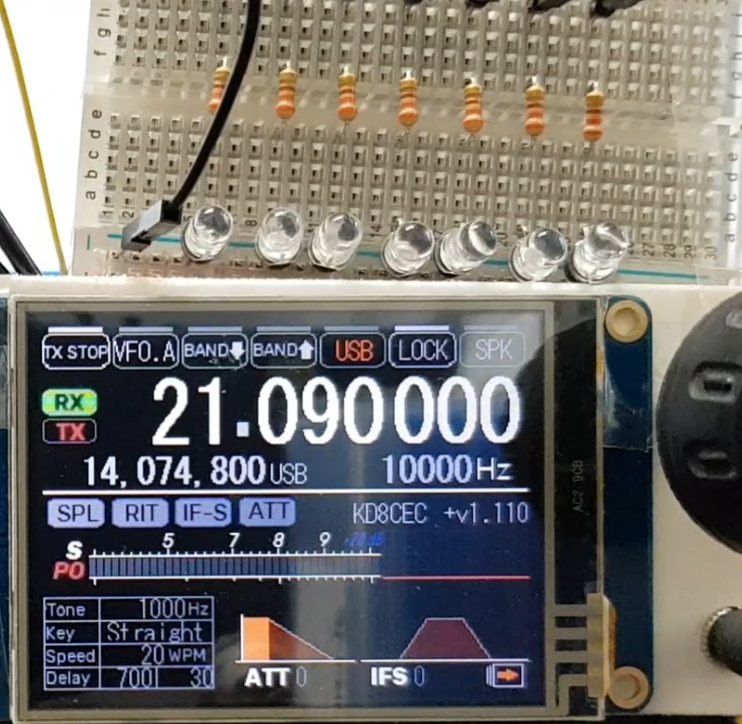 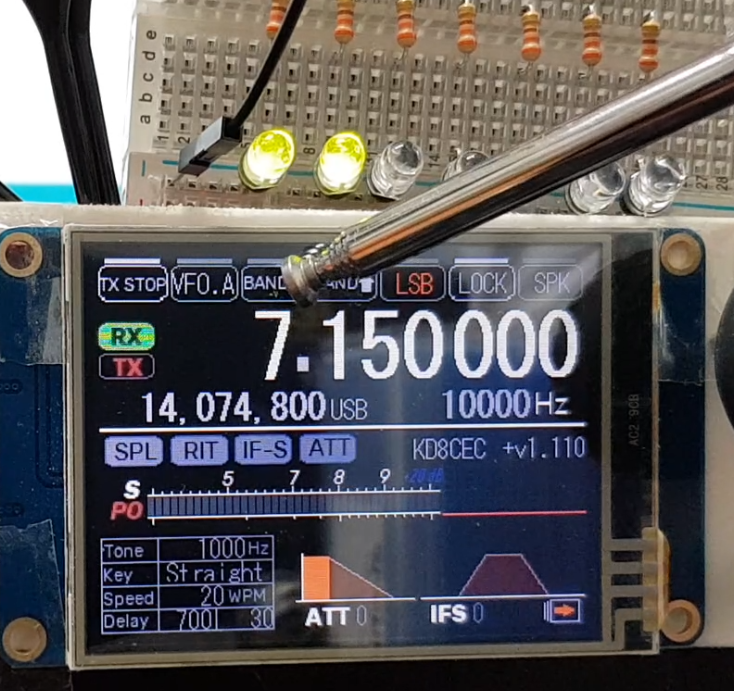 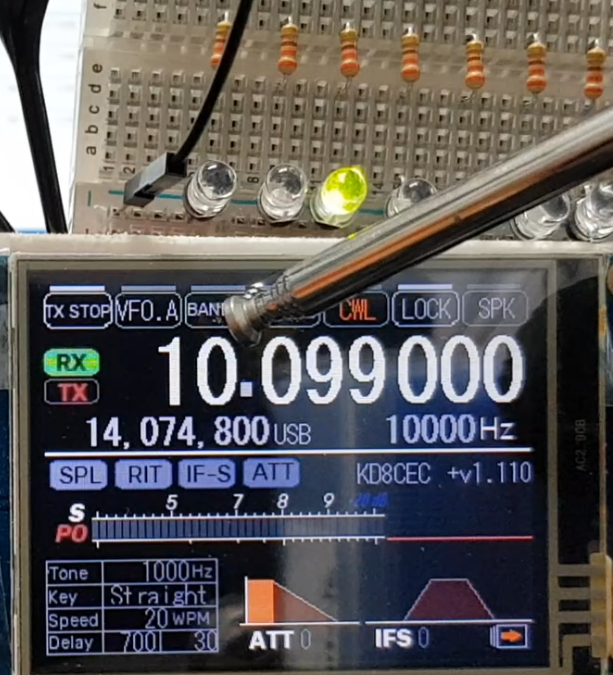 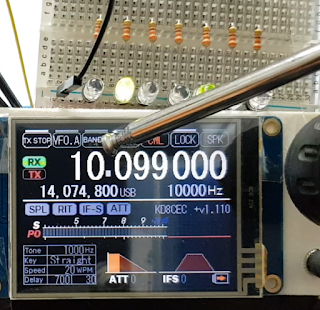 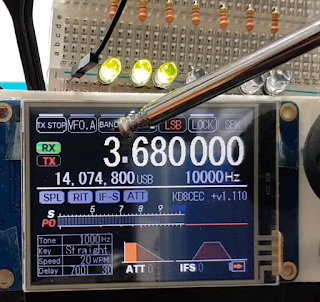 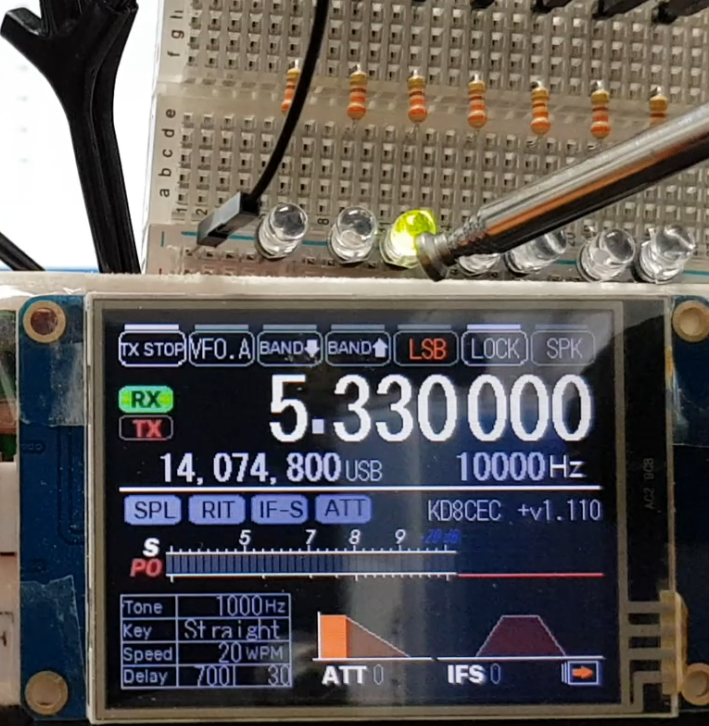 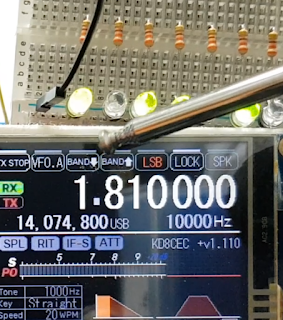 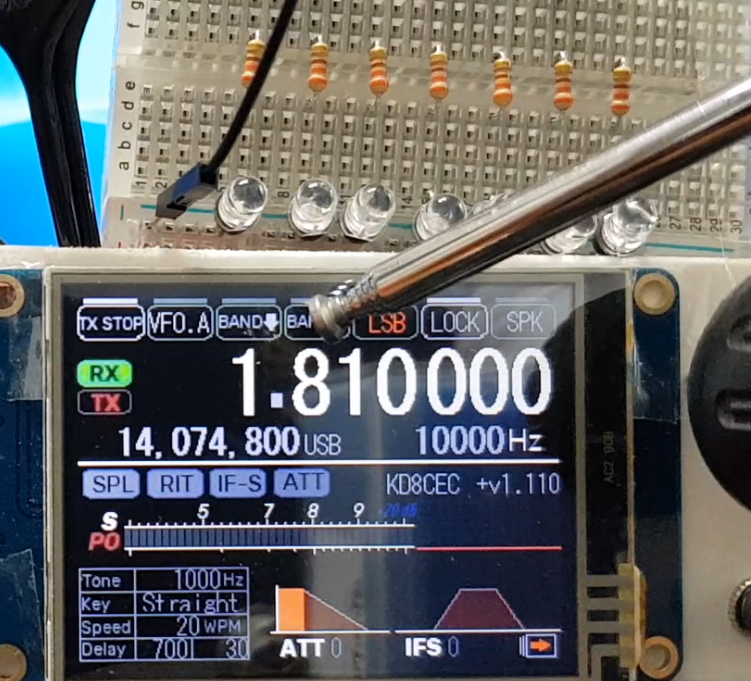 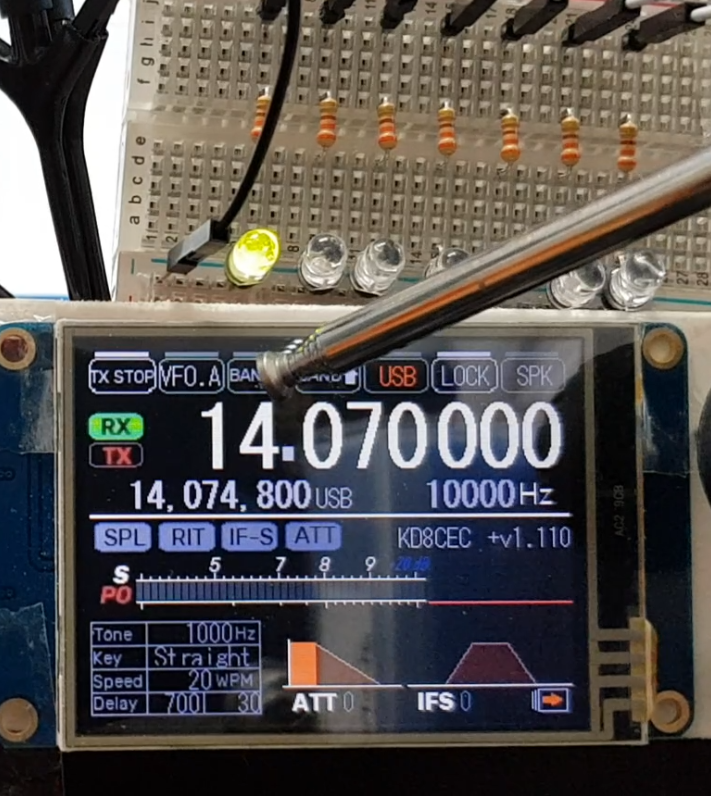 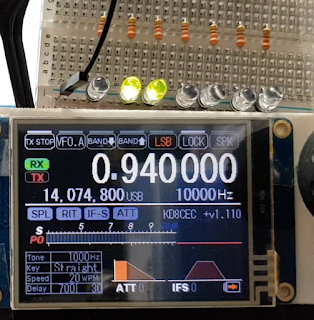 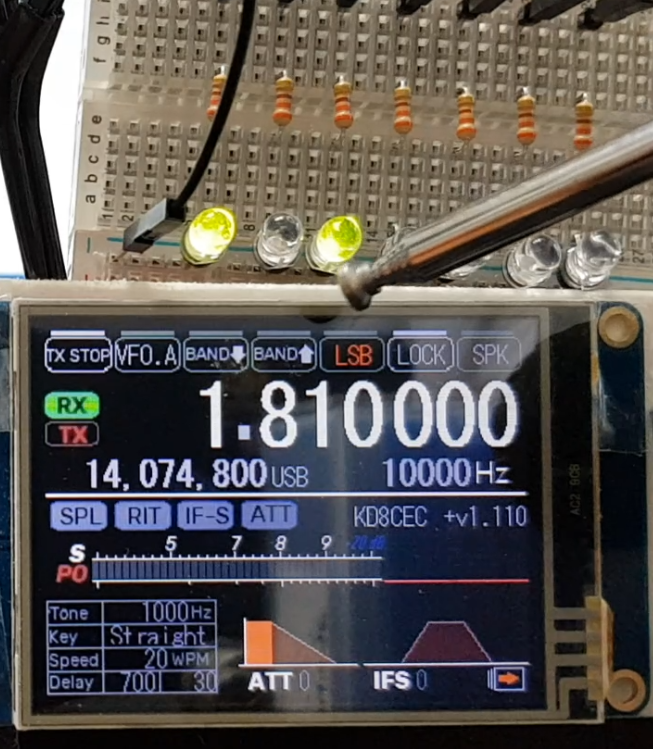 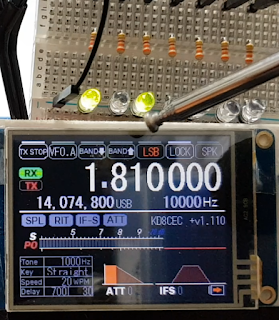 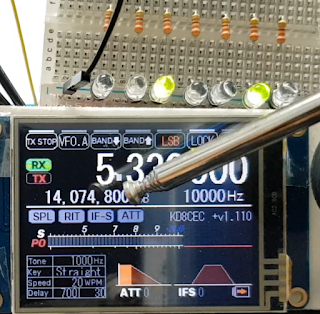 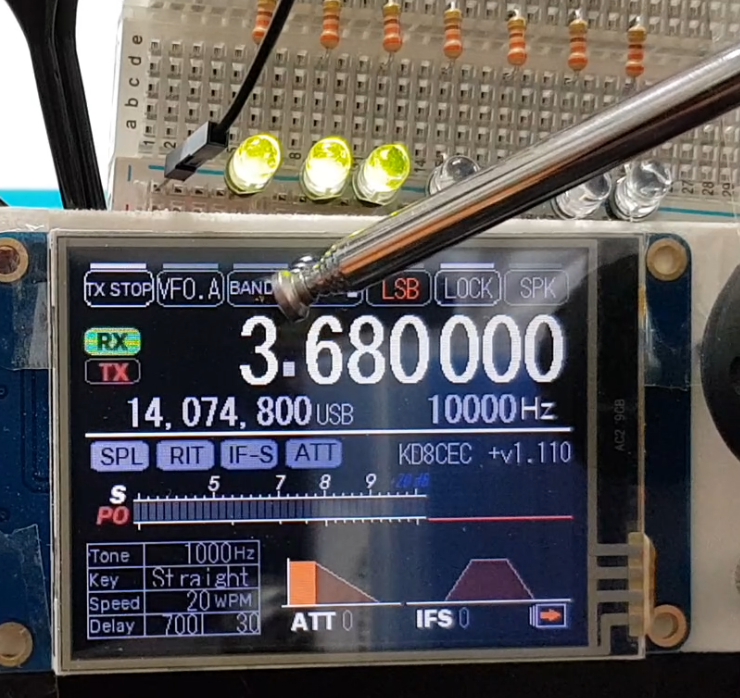 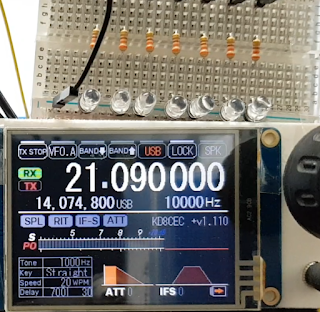 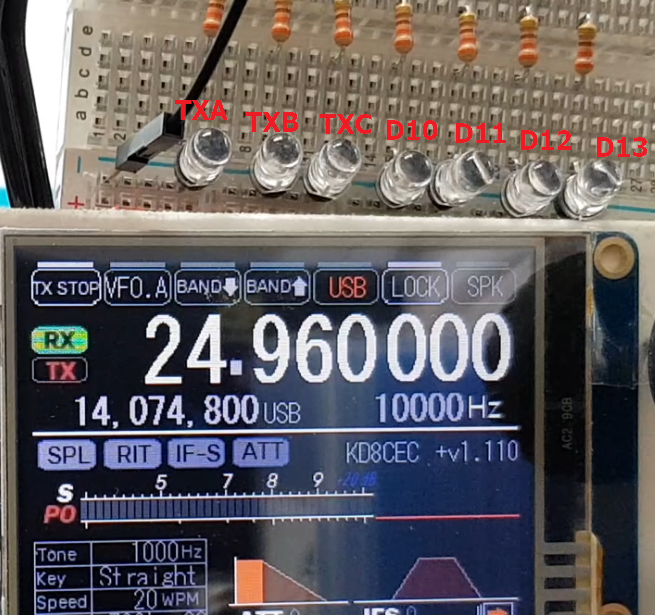 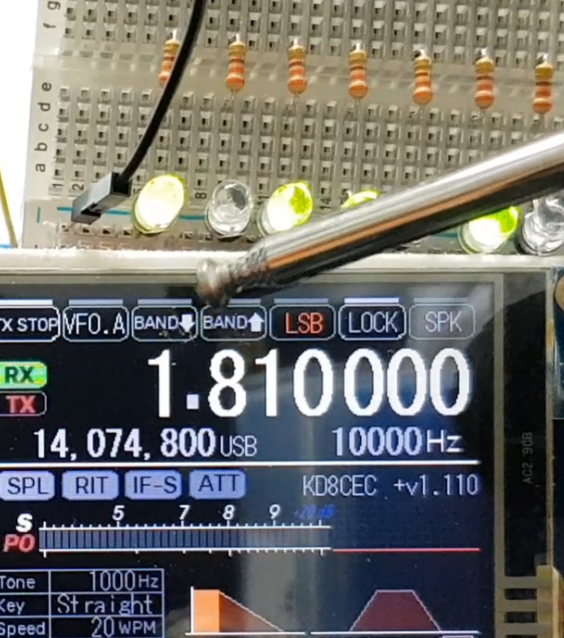 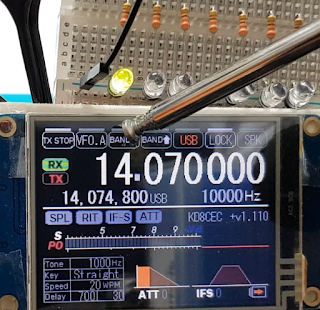 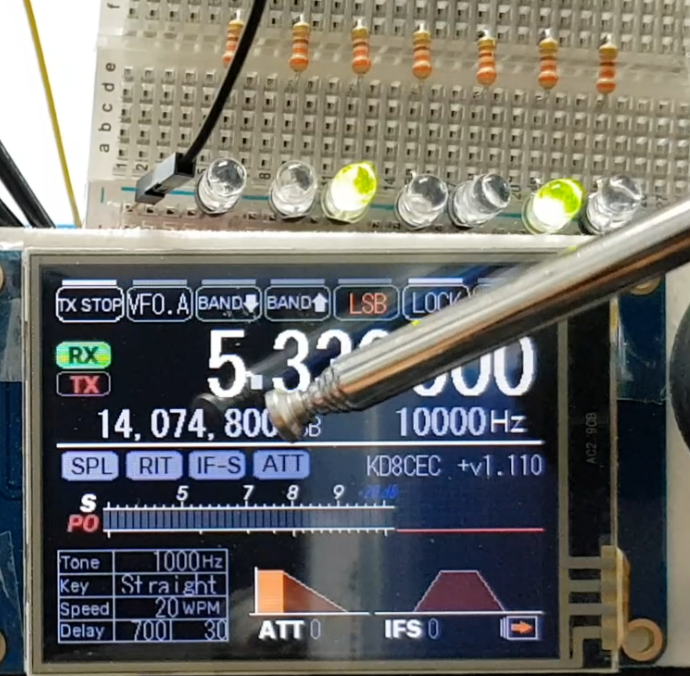 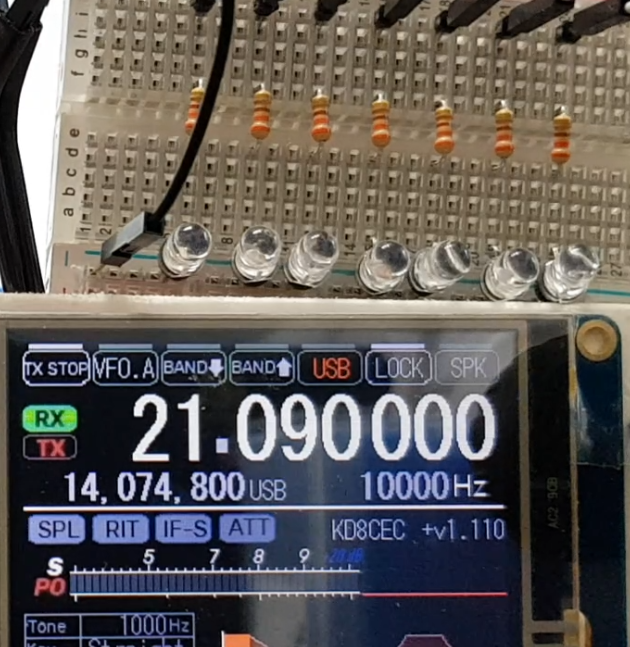 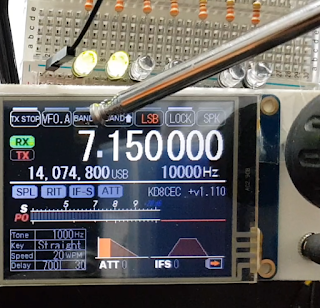 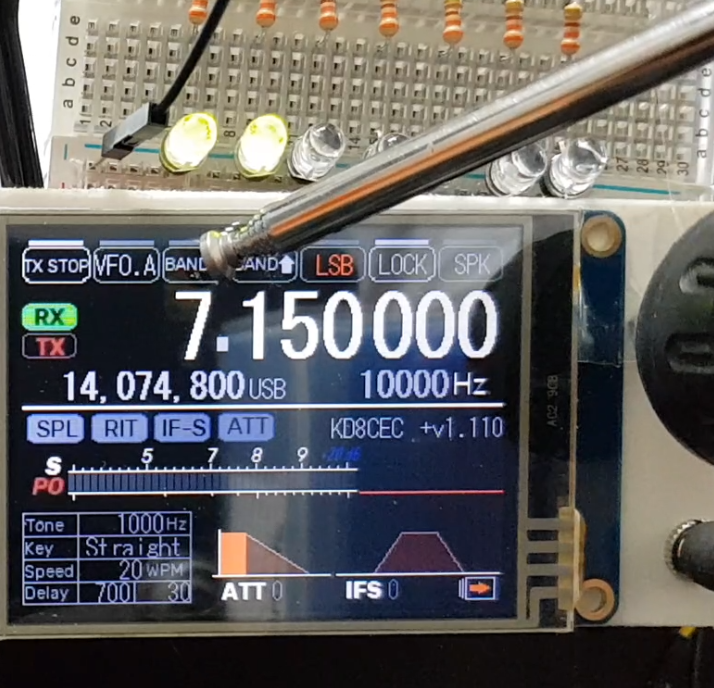 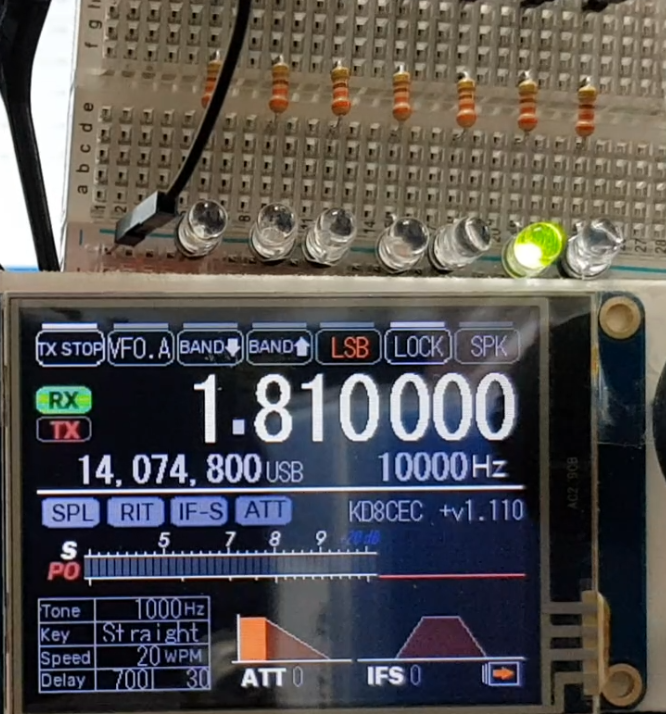 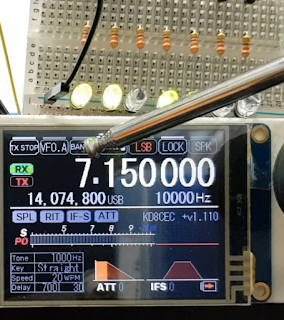 I connected TXA, TXB, TXC and D10~D13 to the breadboard for testing. 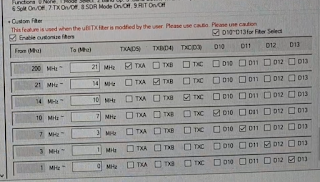 yellow lines is TXA~TXC, white lines is D10~D13. 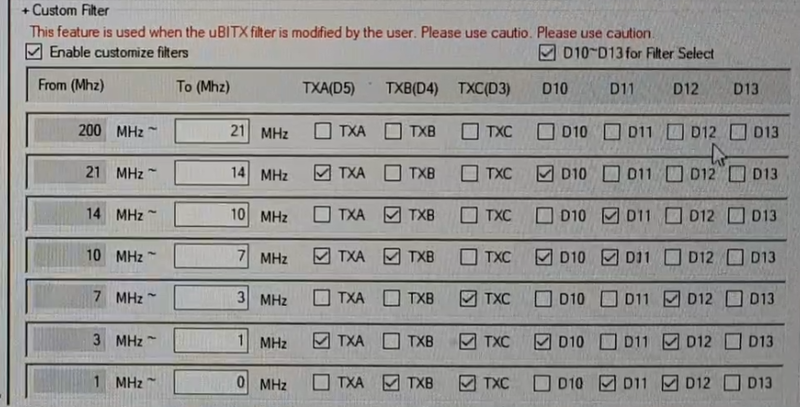 Below is a picture of TXA, TXB, TXC, D10, D11, D12, and D13 lines in uBITX. 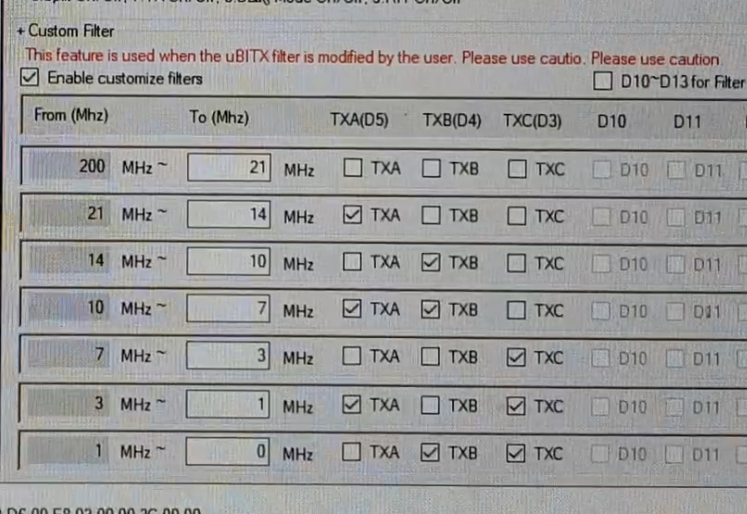 TXA, TXB, TXC, D10, D11, D12, and D13 can be viewed according to the frequency as shown below. 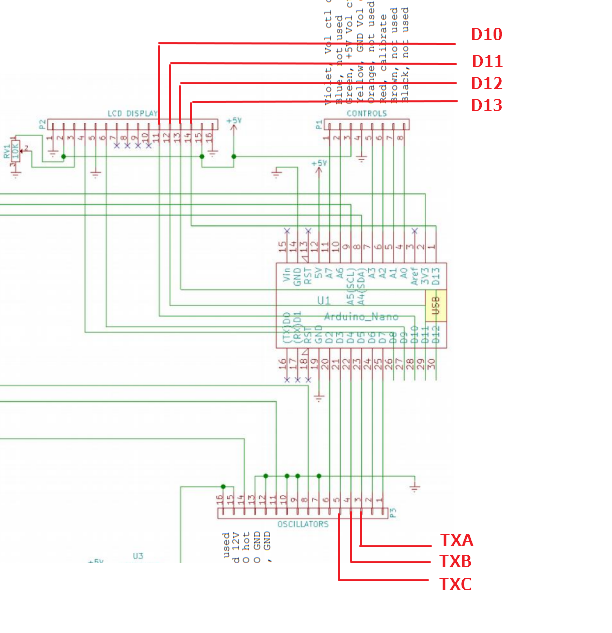 You will find several ways to modify the LPF to improve uBITX. 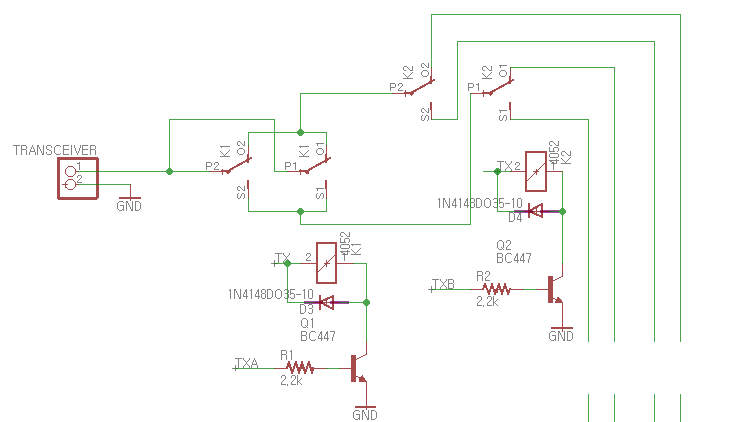 First of all, the CEC Version allows customized LPF Filter to be configured as desired by the user. 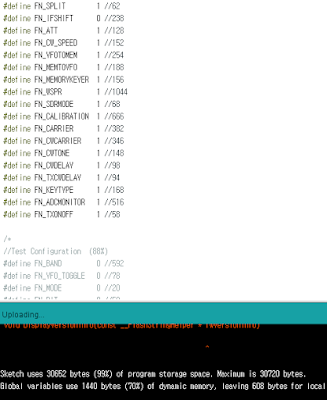 To use your LPF, you need to change the compile options to compile. 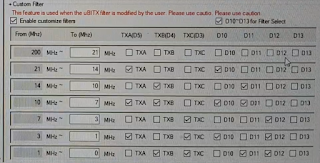 If you have trouble compiling, please contact me and I will compile it in the form you want. 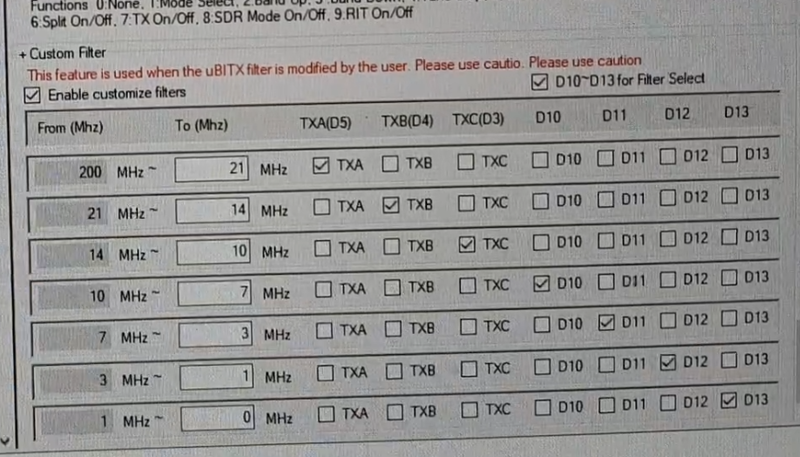 If you see this message, you can remove one feature that you do not use. 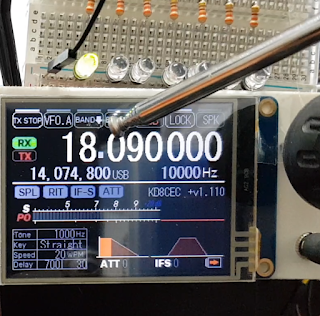 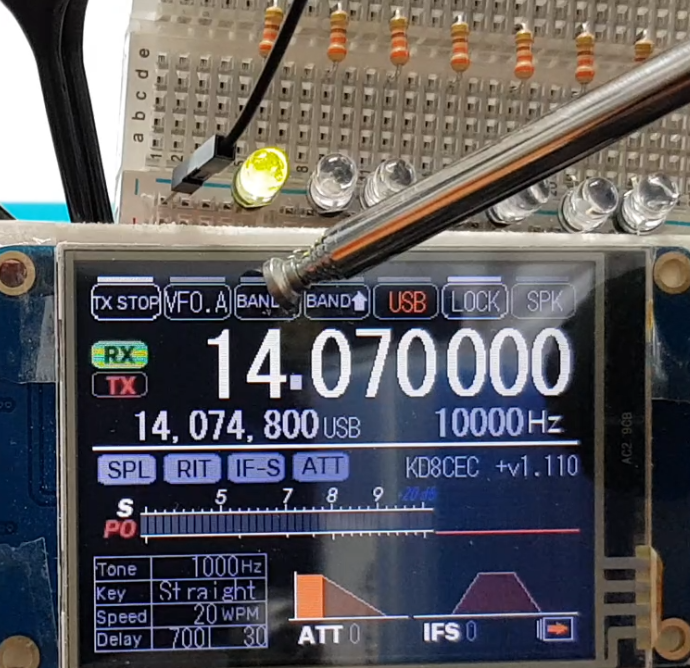 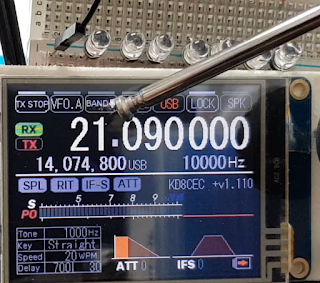 If Nextion LCD is used, IF_Shift, ATT, CW Speed etc are all controlled on the LCD. 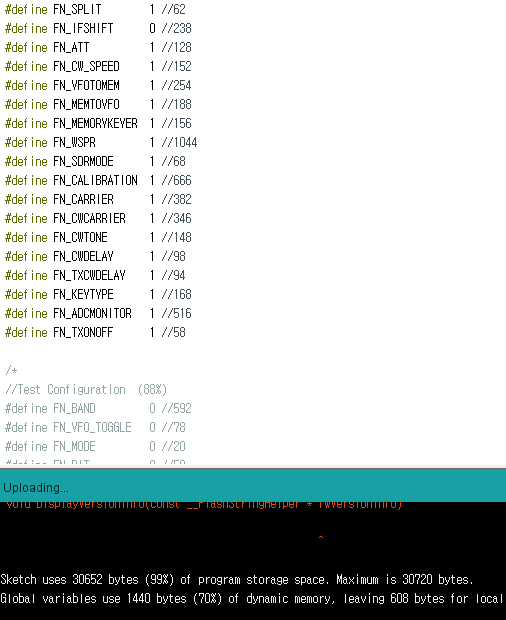 The following is a successful compilation after removing the IF_SHIFT function. See Link below for more details on this. 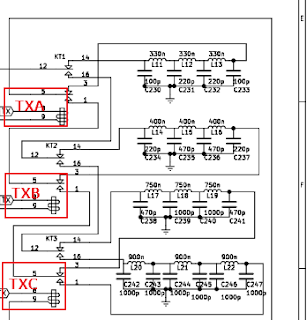 As you can see in the picture above, the LPF does not do anything. 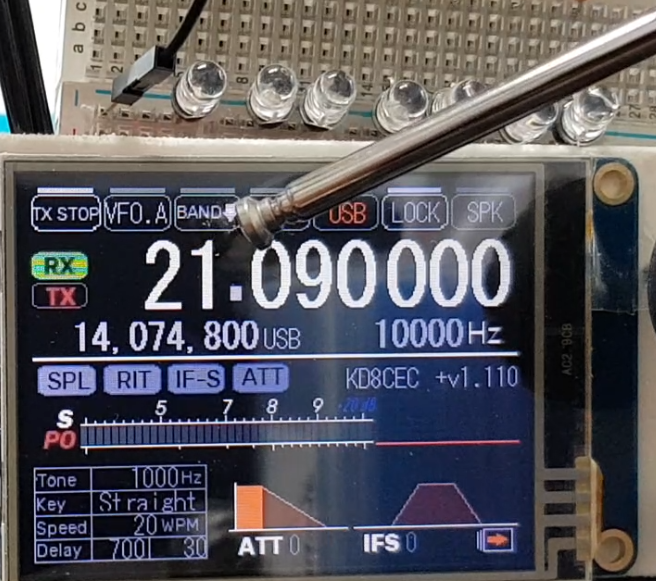 As you can see in the pictures below, it works the same as before firmware update. 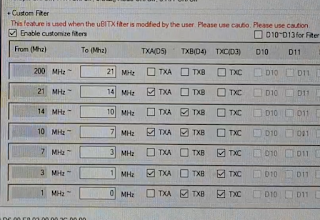 The frequency range can be set as desired by the user. 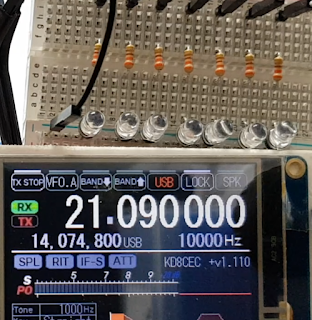 This mode is only available for I2C LCD (16x02, 20x04) or Nextion LCD (TJC LCD) users. 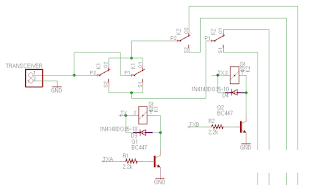 Perhaps this function can be applied not only to LPF but also to various applications. 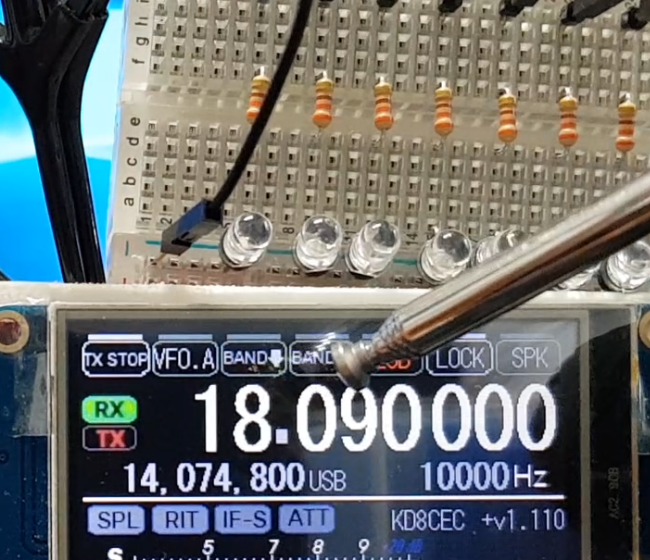 This is done by running in Clone mode. 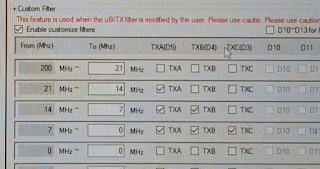 Source code and uBITX Manager can be downloaded from the link below. 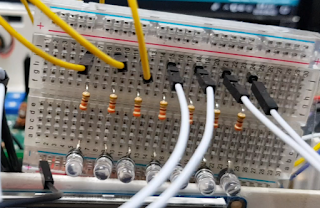 By mistake of mine, I made the mistake of connecting the digital and analog cables backwards. 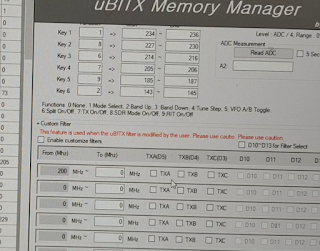 The screen is illuminated white. 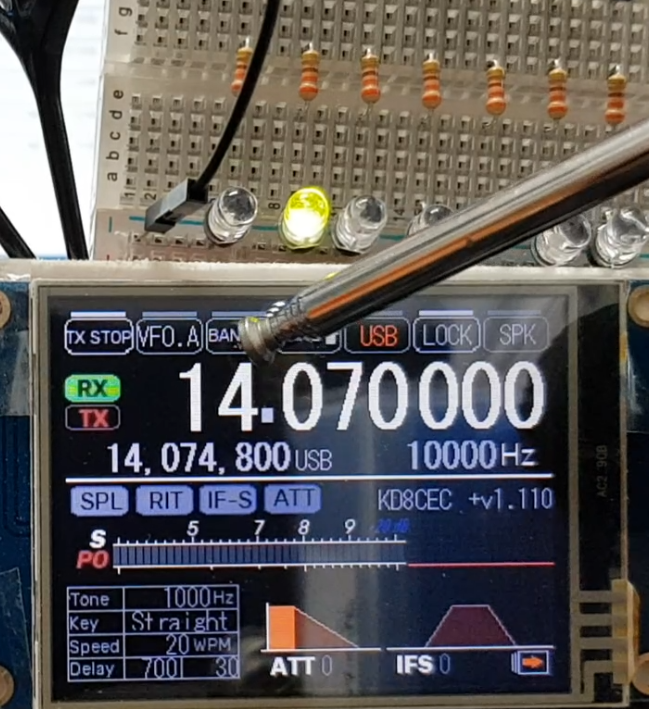 Could you tell me if only the firmware was corrupted or maybe some component failed?